We want to advise you about the dangers of rushing to buy a puppy to give on Christmas Day. There are several reasons why this can be a bad idea; not least because it is the person receiving the puppy who must be committed to its care, not the giver. Owing a dog comes with a great deal of responsibility. Puppies need lots of care, attention, time and patience, whilst they are leaning, and are not to be taken on lightly or without a lot of thought. Doing so could cause suffering, behaviour problems and possibly even homelessness for an innocent animal. Does this person want a puppy? Are they aware of the commitment involved in raising a puppy? Is there someone else who can assist or be responsible for a dog if things go wrong? Have you considered their age, fitness levels and lifestyle before selecting an appropriate breed? Can they afford to properly care for a dog? Is Christmas a good time for them to take on a puppy? Do they have lots of parties and visitors planned? If their house is likely to be Party Central, this is not a good place for a puppy to find itself. If buying for a child or young person, are the parents on board and committed to the care of a dog? 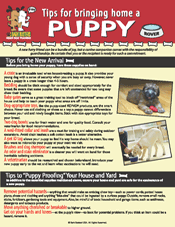 It is well known that buying a puppy that you may have tracked down via the internet, without doing some research and following some simple guidelines, can support and fund the trade in illegally-imported puppies – something that can leave new owners devastated and in financial trouble from vet bills as they struggle to cope with the severe illness, or even death of their new puppy. https://www.rspca.org.uk/adviceandwelfare/pets/dog... explains this more fully and provides links and guidelines to avoid falling into the trap of buying a puppy from a dealer. You should also check out their tips for spotting a puppy dealer’s advert and, if you do go and visit a puppy, remain cautious. Always insist on seeing the Mum with the litter. Visit more than once to ensure that this is really the mum and pups’ home. Don’t accept excuses about why the mother can’t be there. Don’t believe that a single puppy is available because he/she is the last one. If you have any suspicions at all, walk away. Dealers depend on your emotional attachment to the puppy. Buying the puppy will not save that puppy, it will fund the trade. When considering a puppy, you could visit the Kennel Club website for a list of registered breeders and litters available (www.thekennelclub.org.uk). Their website will also help you to select the right breed of dog for you, your finances, lifestyle and age. Registered breeders may well want to know about you and your home situation before they allow you to take on of their puppies. Don’t be offended by this – it’s a sign that they care about the puppies. The RPCA have been campaigning to stop the illegal import of puppies who are bred in appalling conditions, taken away from their mothers when they are far too young, and then transported like cargo across Europe. The result of this campaign is that the Government is to introduce a new licensing scheme for anyone breeding or selling more than three litters of puppies a year, and banning the sale of puppies under 8 weeks of age. This will be a great step forward in the fight to end unscrupulous breeding and selling of puppies, but we as individuals can also help end the trade by not providing a market. Never arrange to meet a so-called breeder at a motorway service station, car park or anywhere that is not the puppy’s home. Don’t buy a puppy because you feel sorry for it (this is very tough). If someone suggests they have puppies of more than one breed, walk away. They may be a puppy- farm operation. 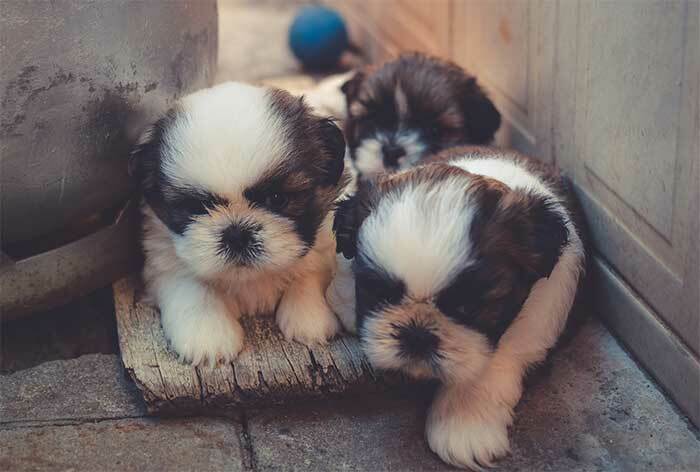 Finally, if you have any suspicions about the person trying to sell you a puppy, contact trading standards with as much information as possible so that these dealers can be tracked down and dealt with. Finally, if you do think that you are ready for a puppy, don’t be rushed to have it by Christmas. If you are truly committed to having a dog, you will have years of happiness together…a few weeks of waiting will be worth it!